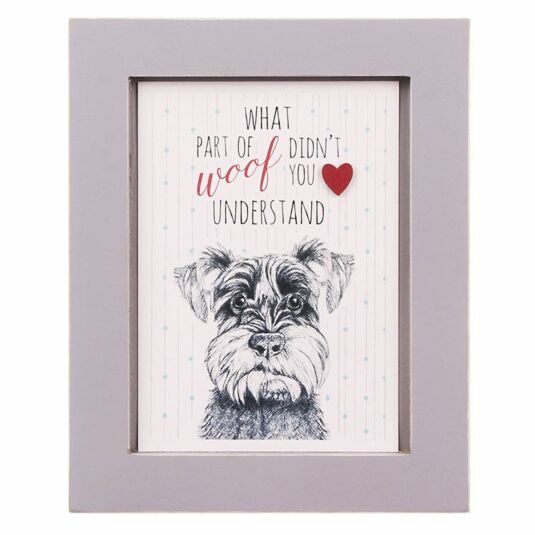 The expressive eyes of a Schnauzer dog, with its ears raised in expectation, is the subject of this endearing picture from East of India. 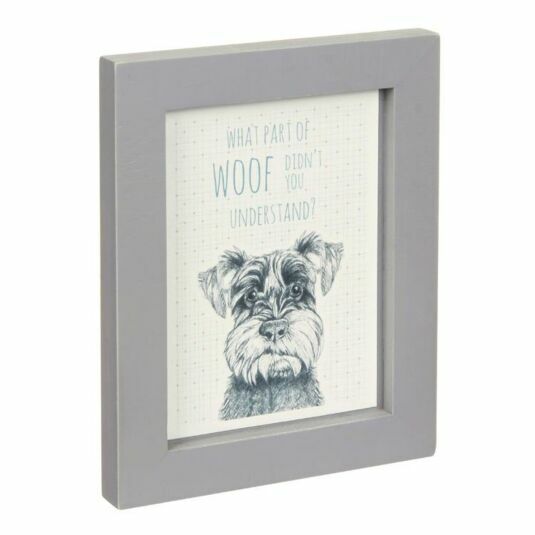 The large portrait is mounted in a silver grey frame, complete with hanging holes. 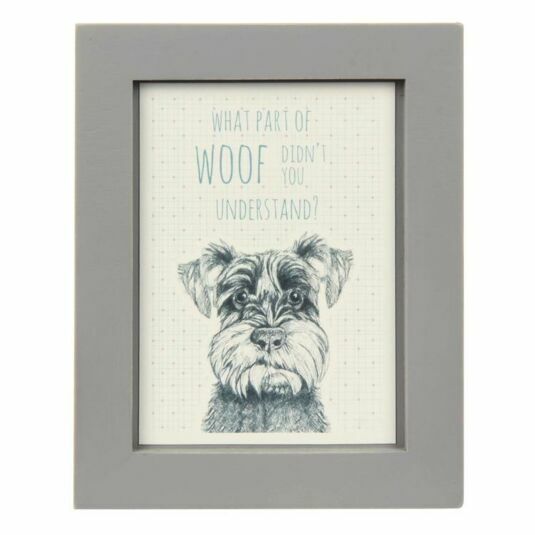 This picture makes a lovely housewarming, Christmas or birthday present, especially for dog lovers. Please note, there may be slight variations in the design of the image.